The Cable Matters USB Type-C to DisplayPort Adapter is specifically designed to connect the new release computers with a USB-C or Thunderbolt 3 connector to existing display monitors with DisplayPort. Experience the vibrant video and authentic audio supported bymonitors with DisplayPort for gaming, video streaming, or a multiple monitor workstation.Thunderbolt 3 equipped devices now use the slim, reversible USB-C connector. 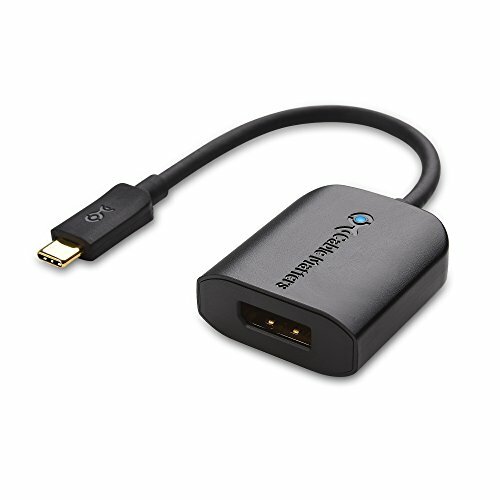 Compatible computers or smartphones with a USB-C or Thunderbolt 3 port can use this cable. USB-C to DisplayPort Adapter connects a laptop with a USB Type-C port to a monitor with DisplayPort input; USB-C port of host requires DisplayPort Alternate Mode support to view video over USB; Windows computers may need updated USB-C or Thunderbolt 3 drivers from the manufacturer.